The Gun Carrier was the world’s first self-propelled gun design, though it never fired a single shot in anger. Its invention led to the development of the famous SPG’s of World War II, largely based on the same concept: a modified regular tank chassis carrying a standard artillery gun in a semi-enclosed compartment. 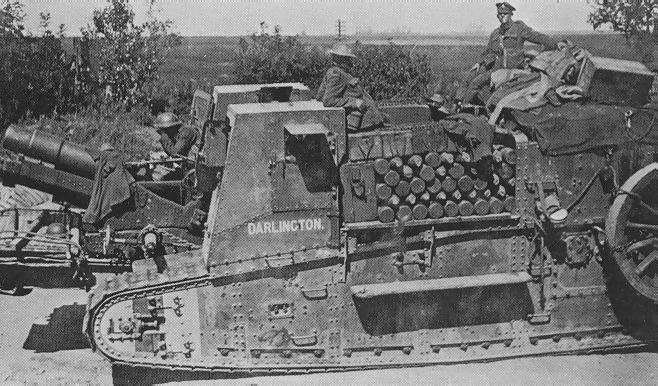 Gun Carrier Mk.1 Darlington loaded with a howitzer. The loading ramp can be seen jutting forward under the gun at the front. After the first deployment of the Mark I tank in 1916, it was realized that artillery would not be able to keep up with the pace of the advance. 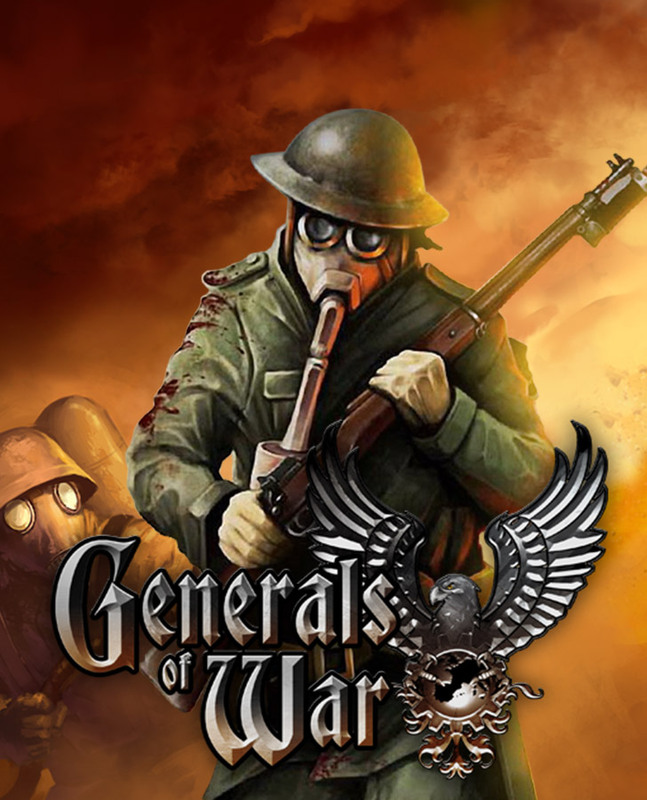 Without artillery support, an offensive would quickly be ruined. Thus, the creation of the Gun Carrier was imperative. 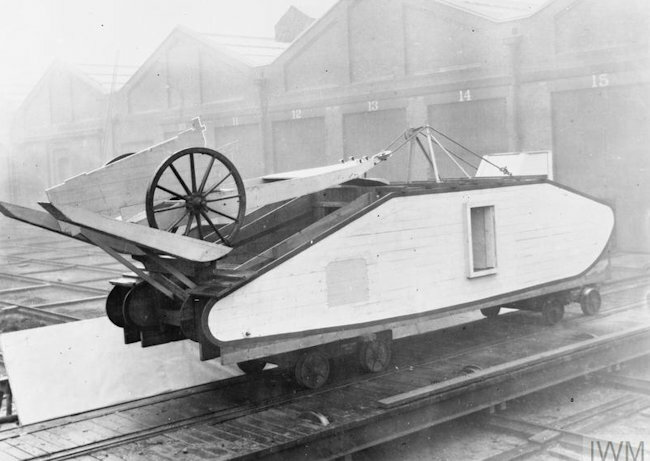 A British Army engineer named Major Gregg, working at the company that built the Mark I tank, came up with a solution. Using parts from the Mark I tank, he proposed the design of a special mechanized artillery. On July 5, 1916, the production of a prototype was approved, and in July, work began. 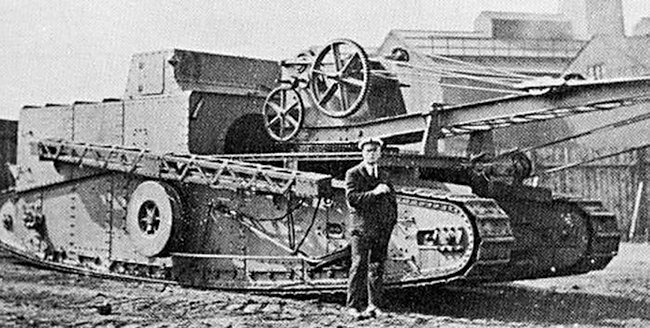 On March 3rd, 1917, the prototype participated in Tank Trials Day. Fifty vehicles were ordered by the Army, to be produced by Kitson & Co. The Gun Carrier didn’t look much like the Mark I at all. Instead of high and angled tracks, they were low, almost flat. A superstructure in the rear protected the 105-horsepower Daimler engine and the Gun Carrier’s transmission, propelling it along at 6 km/h (4 mph). The double tail wheel attached to the end of the Mark I tank to aid in steering was retained on the Gun Carrier. The Gun carrier Mark I was crewed by 6 men: a commander, mechanic, and two gearsmen; with the addition of a driver and brakesman above the front of each track. While the placement of the crew improved visibility, communication was difficult. The front held a choice of a BL 60-pounder gun or 6-inch howitzer behind a shield-like structure. Only the howitzer could actually be fired from the vehicle. 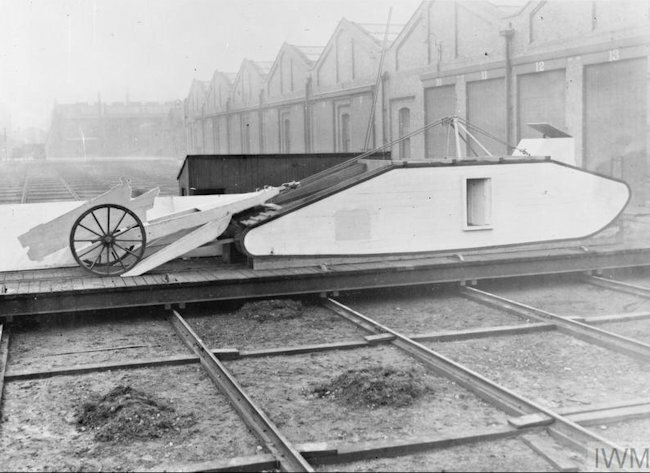 In order to transport the guns, only the wheels were removed from the carriage and attached to the side of the Gun Carrier. Hello, dear reader! This article is in need of some care and attention and may contain errors or inaccuracies. If you spot anything out of place, please let us know! Gun Carriers were converted into Supply tanks, and used as troop carriers. 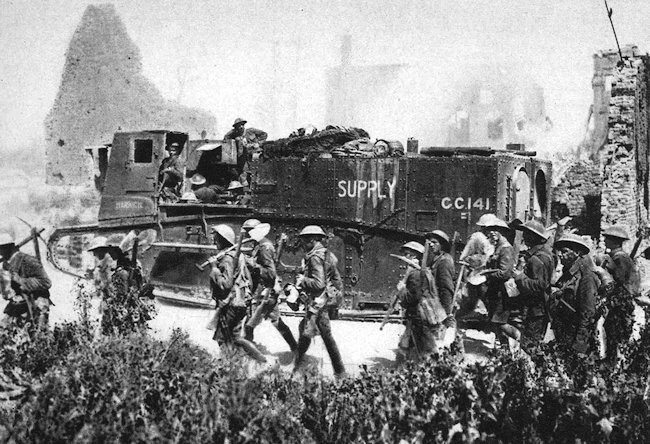 At the beginning of June 1918 both Gun Carrier Companies were converted into supply companies. For the attack on the 8th August 1918, day one of the Battle of Amines, 22 gun carrier supply vehicle were allocated for use by the Australian Corps. Unfortunatly 16 of these vehicles were damaged beyond repair when one of them carrying explosives exploded on the night of the 6th-7th August 1918 near Villers Bretonneux. Colorized photograph of a Gun Carrier converted into a supply tank. A Wooden mock-up was built of a Gun Carrier Mk. II, housing the gun at the rear of the tank. They were never ordered into production, but the result was that the Gun Carrier was re-designated Gun Carrier Mk.I. 48 of the 50 Gun Carriers were organized into Gun Carrier Companies, with 24 machines each. These entered service in the latter part of 1917. None of the Gun Carriers ever fired a shot, as no breakthrough materialized. They were used as supply tanks, and as troop carriers. It was estimated a single Gun Carrier could transport over 100 troops at a single time. 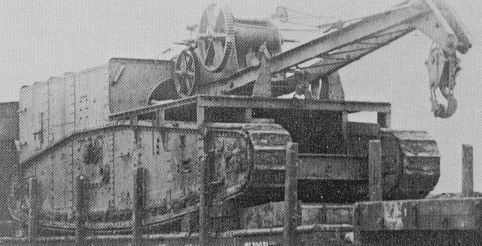 Two of the Gun Carrier Mark I chassis were turned into cranes. 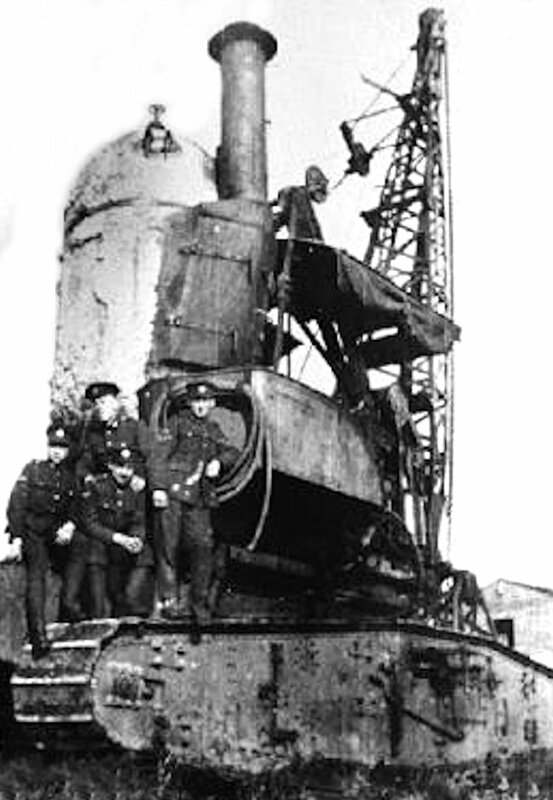 One was fitted with a large steam engine boiler on the rear of the chassis that powered a big crane arm at the front. The second was powered by the Gun Carrier’s engine. The crane arm was more modest. It was used for tank recovery, salvage and building work. Only one of each type was built. The Gun Carrier Steam Crane conversion was very tall. The steam boiler was mounted vertically rather than horizontally as found on railway steam engines and tractor engines. 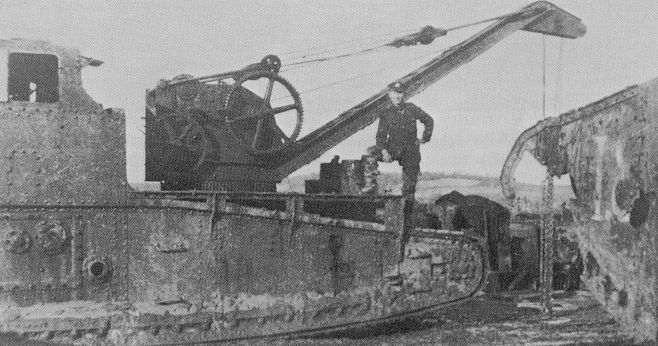 The Gun Carrier Steam Crane had a very long crane arm. This Gun Carrier Crane had a more modest crane arm. It was powered by the vehicle’s engine. 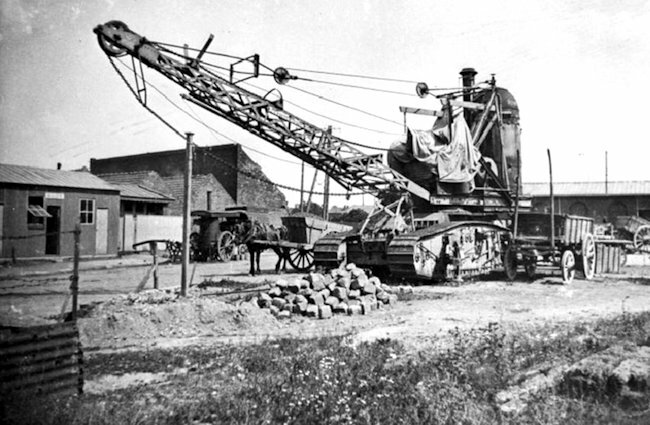 To travel long distances the Gun Carrier Crane was loaded onto railway flat back wagons. 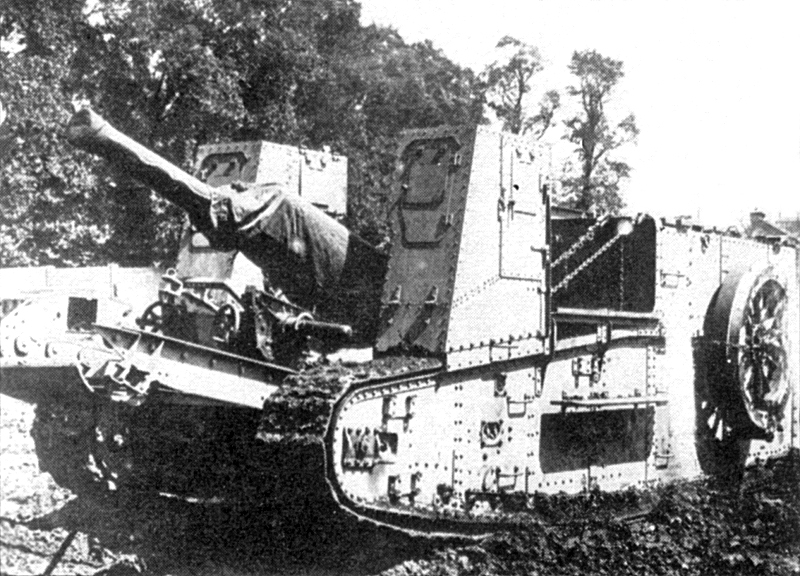 Gun Carrier Mark I (1917) with the 60-pounder. 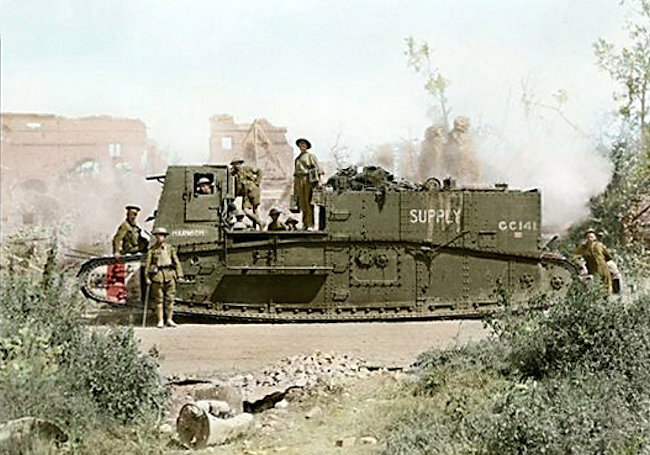 The First World War’s fierce battles saw the need to develop military technology beyond anything previously imagined: as exposed infantry and cavalry were mowed down by relentless machine-gun attacks, so tanks were developed. 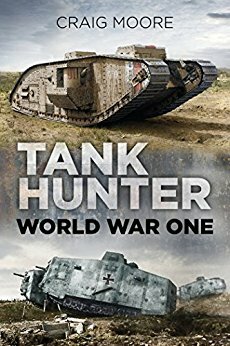 Stunningly illustrated in full colour throughout, Tank Hunter: World War One provides historical background, facts and figures for each First World War tank as well as the locations of any surviving examples, giving you the opportunity to become a Tank Hunter yourself. I have just read an account of the battle for Hamel,and had until now had no idea of the supply tanks used to support the troops.Searching the internet for information and possibly photos,I was impressed to see the footage you have of the carriers in motion,brilliant,thank you.